Having the knowledge of animal feed is very important for the success of your farm business. For a rancher, can succeed when successfully built a large farm, have a lot of livestock and have great results as well. Are you too? Indeed, to breed is not as easy as we imagine. It takes true knowledge, experience, and persistence as a rancher. With it, you can run the farm better, grow rapidly and get results as you and other breeders want. With the right knowledge of feed, then we can focus on what we want to improve. Indeed many types of food that we can use for animal feed. But in general, animal feed ingredients there are 5 types, coarse feed, reinforcing/concentrate feed, minerals, vitamins, and supplementary feed. Grass can grass field, grass plants, grass Bengal, lawn grass. The rest of the crops such as straw, rice straw, soy straw, corn straw, and groundnut straw. Animal feed from forage has a crude fiber content of about 18% but has a low energy content. Forage that is a good source of nutrients is forage containing crude protein as much as 20% total dry ingredients such as leguminous/nuts. Meanwhile, feed on the rest of the harvest like straw, only has a crude protein content of about 3-4% dry matter. From green fodder from high-quality leaves and grasses, livestock such as cattle can only produce 70% of their supposed capability. However, the rough feed is necessary for ruminants. Because it has high coarse fiber to stimulate the rumen and determine the milk fat content. Reinforcing or concentrate feed is animal feed which has low crude fiber content, which is below 18%. The main nutrients of concentrate feed are energy and protein. There are two concentrate differences, namely, concentrate as a source of energy and as a source of protein. Concentrated energy sources are concentrates that have less than 20% protein content. In contrast, the protein source concentrate is a concentrate that has a protein content above 20%. The concentrate is an animal feed ingredient provided along with other animal feed ingredients. To increase the nutrient content of fodder mixed as complementary feed. In order to maintain the production of cow’s milk, dairy farmers must provide some concentrate feed. Because cows that eat only forage will produce milk 30% lower than cattle that mix concentrate. Minerals or salt substances are one of the important ruminant nutrition. Such as Calcium, Potassium, Iron, Phosphate, Sodium, Magnesium, and others. 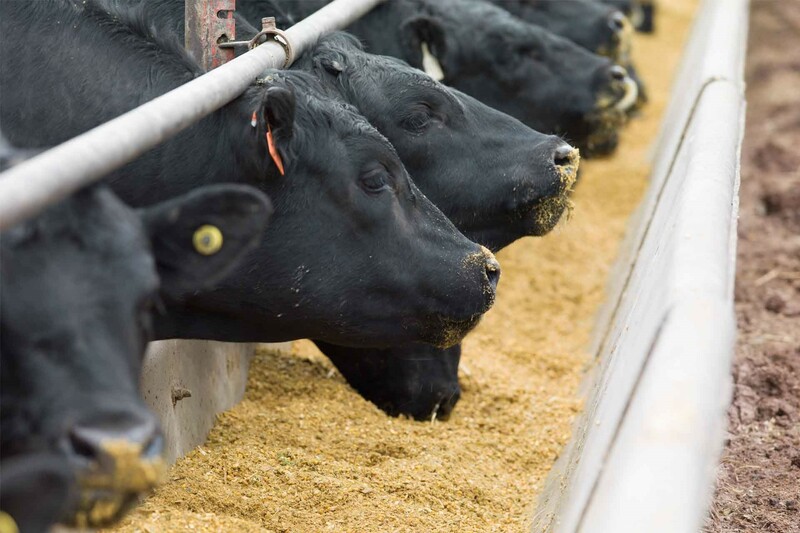 Supplemental minerals are necessary for addition to some fodder, but not all. Because most of these minerals can be obtained from animal feed ingredients. Therefore it is very important to know the content of the animal feed. Is it enough to meet the mineral needs of livestock or not?